Ah, intuition. I said on Friday that for some reason I had the nagging feeling that we wouldn’t get the all clear, and I was right. The good news is, we took a 90% sound horse and turned him into a 95% sound horse. He’s definitely better. Unfortunately, he’s still not 100%. We took more rads of the injury site and compared them to the original ones from a month ago. The tiny crack was gone and he’s laying down good bone on top of it, but it’s still in the process of healing. Luckily the external wound track on his injury has closed up, so we were able to do more diagnostics that we couldn’t do last time for fear of introducing infection to the bone. We blocked that area to see if it would make him 100% sound, but it didn’t. Oh, and we had to pause mid-exam to put a shoe back on because of course he pulled it and then proceeded to be off on the barefoot foot when we jogged him. Thank goodness for a vet that used to be a farrier. The only part of Henry’s regular maintenance that we haven’t been able to do throughout all of this is inject his left ankle. Again, last time he didn’t want to stick a needle anywhere near that wound, especially not one that was going into a joint. So, short of blocking our way up the whole leg (which would probably take a crew of four people because he is AWFUL) we figured it was worth a shot to do his maintenance injection in the ankle, give him a couple more weeks, and see if that brings him the rest of the way sound. If so, great. If not, we’ll have to do some harder diagnostics because we sure can’t find so much as a pimple anywhere else on that limb. The vet doesn’t think it’s necessary for him to stay at rehab any longer. He’s cleared to start easing back into turnout and riding, but with a lot of specifications, mostly because that bone is still healing and there’s still a chance that it could turn into a sequestrum if we aren’t careful. He doesn’t want Henry to go straight back into his usual 12-22 hour a day turnout, lest we put too much stress on all that new bone. He’s not allowed to gallop around a lot in turnout for the same reason, so if he DOES start acting dumb, he has to be brought in. And, more specifically, he can’t be ridden on a hard surface for at least the next couple months, until all the bone settles. 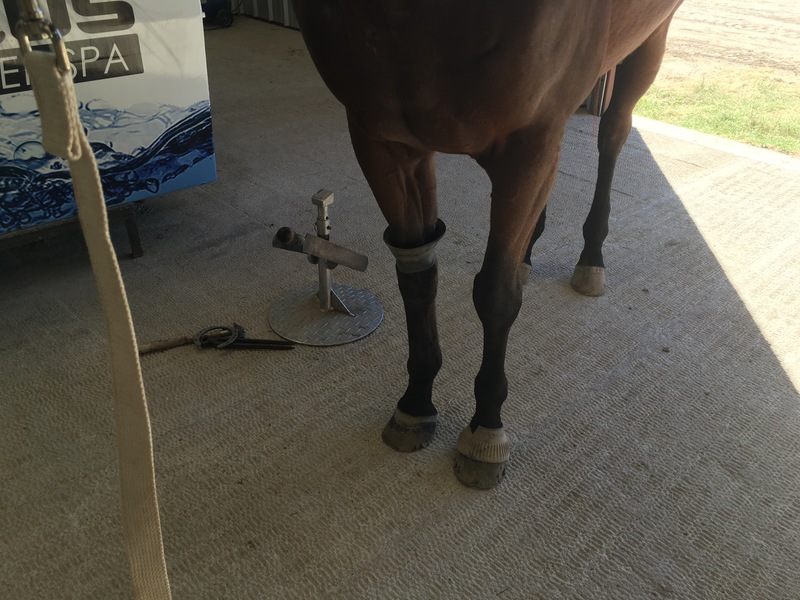 He also wants the leg wrapped and/or poulticed after every ride for the first few weeks. So, this creates another problem for me. I don’t really want to keep him at the rehab place if he doesn’t need to be there, because $$$. Plus they don’t really have much in the way of turnout, nor is their ring finished yet. 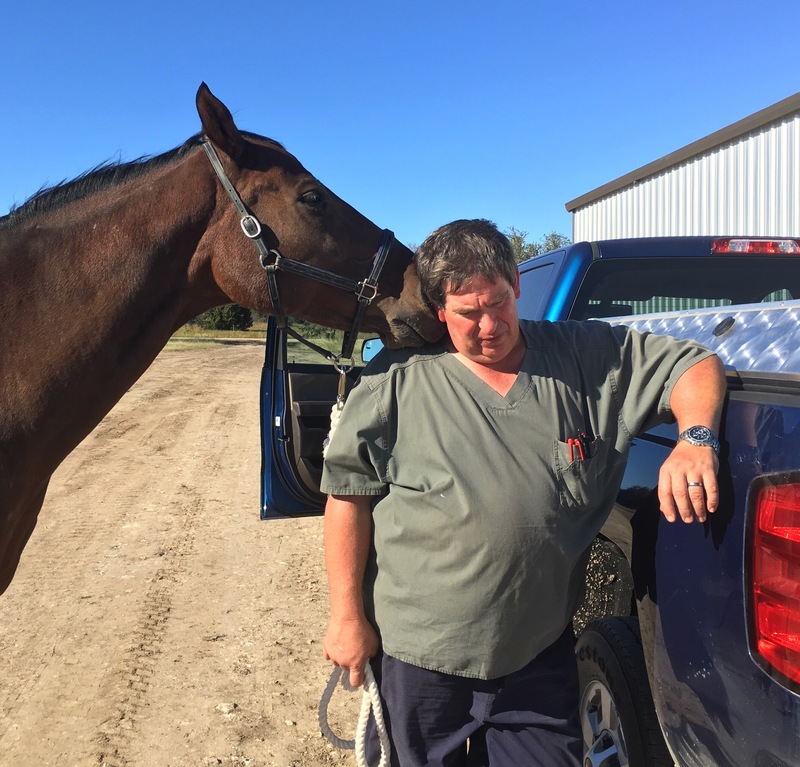 But the specifications that the vet outlined are pretty impossible for our normal barn to accommodate as well… it’s a small private barn, and there are times during the day when no one is there. He runs around a lot in turnout with Halo, and it’d be impossible to always have someone able to bring him in when they get started. The ground is also pretty hard out there since we’ve not gotten much rain in a while, and it’s the type of soil that gets very hard when it’s dry. Henry is just way too high maintenance right now for that situation. Sorry to hear he’s not back to 100%, but sounds like you guys have a solid plan moving forward. Hopefully you can find a good place for Henny to hang out for the remainder of the time he needs to get all healed up! Definitely fingers crossed for him. Keep us posted! Sounds like a promising start. Glad you could get the injection done this go round too. Here’s hoping he continues along to 100% asap! I’m cautiously optimistic that the injection will fix it the rest of the way. Probably mostly because the idea of trying to block that horse from the bottom up seems suicidal at best. Considering a lot of horses don’t even ever get to 100 percent sound LOL he is going the right way. Such a diva your pony 🙂 Glad he at least can start being ridden now! Even if he is high maintenance…he is worth it! I’m starting to think he’s milking it. Because it couldn’t just be easy, could it? i giggled out loud at your response 🙂 cause ain’t it the truth! Bummer town. But. Not the worst news…Keep positive! Gah! Isn’t that always the way? Fingers crossed you find a suitable place that will help you and Henny out for a few months. Henny likes to get alll the attention and alll the special treatment. He just doesn’t want to leave his swim camp. Good luck finding a temporary spot- my fingers are crossed! One million sighs. But, there has been progress in the right direction. At least you will get to sit on him again and we get more pictures of Henny’s derpy face. I’ve been reading about Henny’s rehab with apt attention as my nerd horse has been NQR for the past week. The vet comes on Wednesday to see what the goofus did to himself, I’m crossing all my crossibles that its not a huge injury requiring months of hand walking since he is already going bonkers being on stall rest and hand walking for the past 7 days. lame horse solidarity! Hopefully he’s back to 100 shortly! While I’m sure your not happy that he isn’t 100% yet, any improvement is good. I’m ind of in the same boat as you in that, after Libbys NQR episode, I’m having to move her due to footing issues. Never before did I have any issues with her and footing, but I don’t want to take any chances. Fingers crossed some of the recommendations are good ones that you can be comfortable bringing Henny to. Deirdre at Salado Creek Riding Club in Belton, tx is spectacular with those sorts of accommodations!! Well, at least he’s healing! He’s been on that, before we went to joint injections. His regular maintenance juice is in there now. Totally disappointing that he’s not magically 100% all better. But it does sound like you’re on the right track. I hope you’ve found a place for him to go in the mean time. My place is terrible in terms of turnout for the normal horse, but since I’ve spent most of my riding career rehabbing lame horses, I did manage to set it up nicely for situations like yours. Too bad I’m half way across the country from you.